The Australian Rugby Union (ARU) has confirmed the sale of Melbourne Rebels, a move that will ease the pressure on the governing body's tenuous financial position. The ARU on Friday unveiled Imperium Sports Management (ISM) as the Super Rugby franchise's new owner, the sale finally ratified following months of negotiation. The deal secures ISM all the shares in Melbourne Rebels Rugby Union Limited, the company that had, until Friday, held control over the franchise. The Rebels had become a huge financial problem for the ARU with the franchise responsible for more than half of the governing body's $(A) 6.3 million debt for the 2014 financial year. ARU chief Bill Pulver said he had been impressed with ISM's vision for the Rebels moving forward. "Throughout the negotiations with the Imperium Group, we have been most impressed with both Andrew Cox and Peter Sidwell and their vision for the growth of Rugby in Victoria," Pulver said. "We, along with the VRU, are pleased that the Rebels' new owners share the values of the ARU and the Foundation Rebels Shareholders, and will look to continue to strengthen the development of Rugby in Victoria in partnership with the VRU." Ruck'n Maul: How were Hunt & Horwill selected? Christchurch-born Cox said he was excited to lead the Rebels into the future, particularly with Super Rugby's expansion into Asia next year. "We know Melbourne is the perfect city to have its very own Rugby team," he said. "There are over 125 years of Rugby history in this state and the support for the Rebels in just five seasons is extremely encouraging. "We're excited about the opportunity we have to re-engage with the Victorian Rugby community and form a deeper connection with our fans by delivering better Rugby experiences at AAMI Park. With the expanded Super Rugby competition in 2016, we are looking forward to showcasing Melbourne across the world through new markets including Asia and South America." 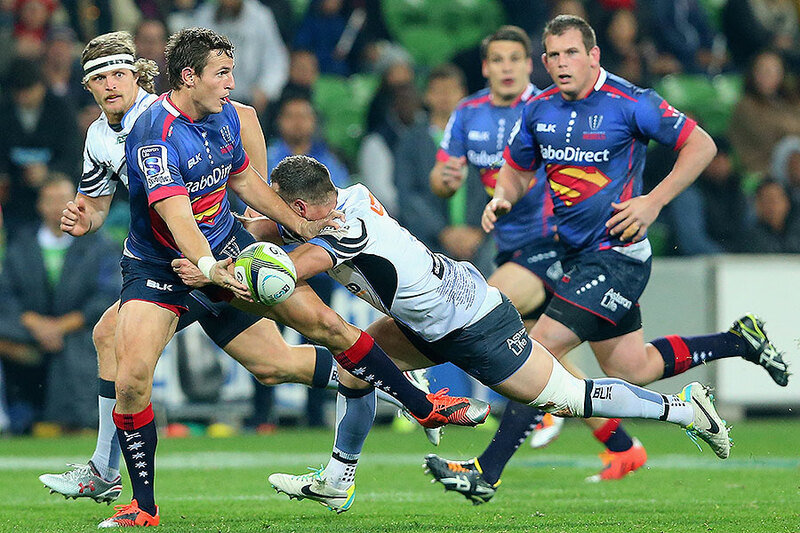 The Rebels enjoyed their best ever Super Rugby season in 2015 despite a final-round loss to the Force at home. Tony McGahan's side finished the season with seven wins, including three against New Zealand opposition, and also recorded their maiden triumph on foreign soil. The Rebels have also re-signed the majority of their 2015 squad; but they will need to find a new captain for next season following Scott Higginbotham's move to Japan.